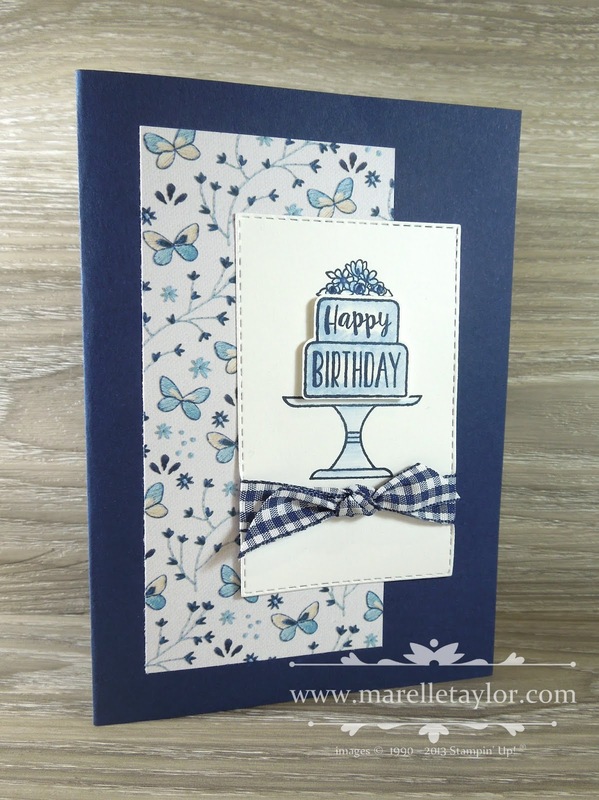 This is my favourite of the batch of sweet cake cards that I made for some recent special birthdays. I love the blues in this pattern in the Needlepoint Nook Designer Series Paper. I popped up the cake on Mini Dimensionals (cutting it out was easy, thanks to the Cake Builder punch). I stamped in Night of Navy ink and added a touch of colour using the Watercolour Pencils and Aquapainter. 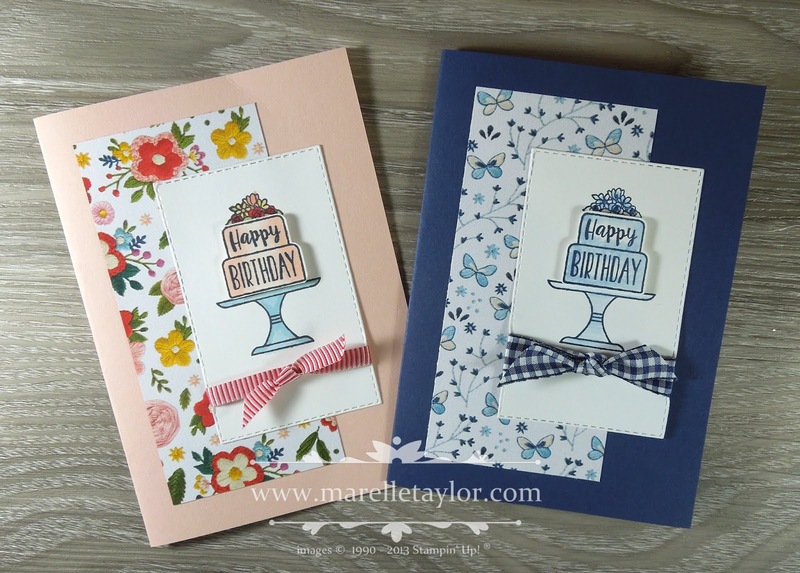 I love the touch of country charm added by the Night of Navy Gingham Ribbon. It's always fun sending out birthday Happy Mail!